The Chalk Masjid or Chowk Mosque in Murshidabad is quite a popular tourist attraction located in the south eastern side of Hazarduari Palace. 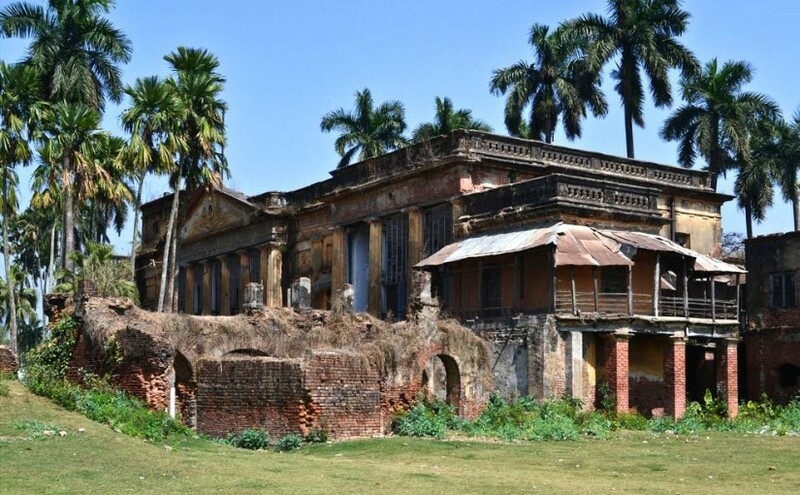 It was constructed by Munny Begum, consort of Mirjafar in 1760. The Chalk Masjid stands tall on the site of Chahel Setun built during the period of Murshid Quli Khan. The exterior and the interior of the masjid is adorned with beautiful and prolific cartouche, vegetal motifs and arch shaped recess with stucco. The mosque has a grand appearance due to the 5 domes in the center with 2 ‘chau-chala-end-vaults’. It is called the ‘Chowk’ because it is an intersection of 5 roads serving as the biggest market area of the city. Pious Muslims gather inside the mosque to observe Id-ul Zoha, Id-ul Fitr, and Ramzan. The Ghari Minar or the Clock Tower of Murshidabad, West Bengal is located on coordinates 24°11′15″N 88°16′10″E / 24.187381°N 88.269315°E is a famous tourists spot. It is located to the south of Hazarduari Palace in the Nizamat Fort premises. It was erected in the garden area of Nizamat Fort probably for passengers traveling by boat and sailors. The Ghari Minar comprises of a heavy bell, the dial of a clock facing east towards Bhagirathi River and 4 masonry shields on 4 corners on the ground supported by 4 masonry lions. It is also known as the ‘Big Ben of Murshidabad’, the handles and figures of the clock being visible from the opposite bank. 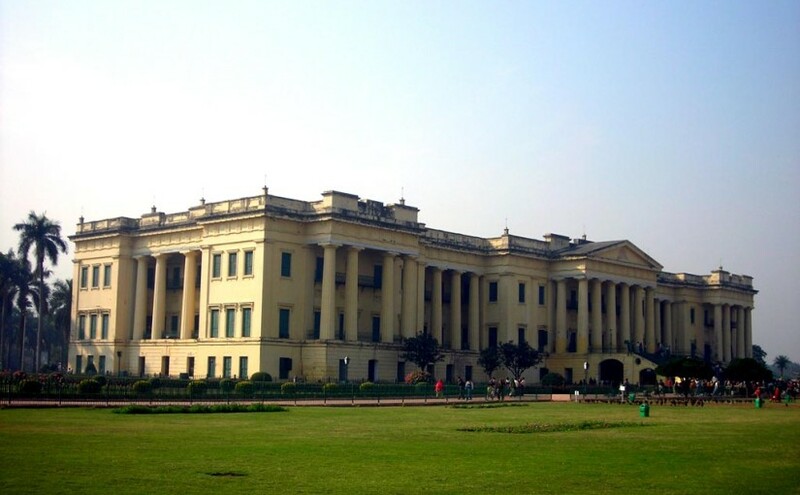 It was designed by Sagore Mistri, the same person who constructed Hazarduari Palace. He was the assistant to Colonel Duncan MacLeod.